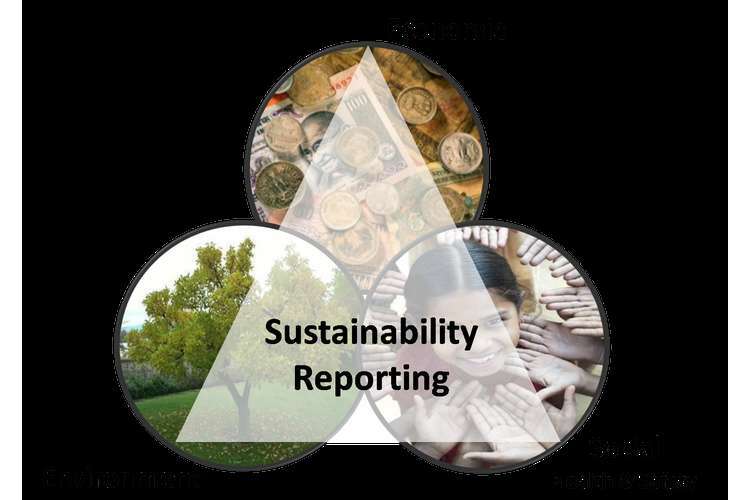 Sustainability reporting is a report which measures the contribution of non-financial aspects by an organization. This report measures the contribution to the economic, social, environmental and governance initiatives. With the emergence of 21st century, the need for sustainable development was felt and numerous international organizations put their efforts in establishing reporting principles & conventions for sustainable reporting. Global Reporting Initiatives, situated in Netherlands, published global standards for sustainability reporting (Dillingg, 2010). Today, throughout the world, organizations are taking part in the sustainable reporting & development. Samsung is a multinational organization, headquartered in Samsung Town, Seoul. This organization deals in electronics, heavy industries, engineering, financial services & other affiliated sectors. The Motto of the Samsung electronics is to create superior products & services, through devoted human resources & technology, thereby contributing a better global society (Dissanayake & Amarasuriya, 2015). Samsung became a part of United Nation SDG’s (sustainable development goals). These goals includes, ending poverty, fighting inequality, ensuring quality education etc (Griggs et. al., 2013). Samsung has been putting its best effort in supporting these goals and developing a sustainable society. Another practice includes constitution of a Sustainability Management council that handles 10 different areas, including society & environment. The major ten areas are our people, compliance, human rights, supply chain, corporate citizenship, innovation, green policy, eco-products, EHS management, and customer satisfaction (Griggs et. al., 2013). Corporate Social committee- this committee supervises the CSR activities of the organization. CSR activities need to be measured for the development of an organization and the society, as a whole (Wood & J., 2010). Various sub-groups are formed which work for improving the ecological system through corporate activities such as transformation of corporate according to global business environment, transformation of corporate according to corporate eco-system etc. Economic contribution- these are the direct contribution by the Samsung electronics for the economy development. Social contribution- the term social contribution denotes the donation and other social expenses by the organization. The total expenditure for the year 2015 is 523 KRW billion, which is same as of last year. Though, this amount has been reduced by 13 KRW billion from 2013. Tax contribution- total tax paid by the organization was 7.8 KRW billion in 2015. This amount has increased from last year by 2.3 KRW billion. This shows increase in revenues of the organization. Dividend pay-out- the dividend payable by the organization has increased by 69 KRW billion, in the year 2015. The dividend payable in the year 2015 was 3,069 KRW billion (Samsung Sustainability report, 2016). For quantifying the development of socio-economic & environmental indicators, the organization uses the KPMG’s true value method. This method converts the value created by an organization into the value for society (Coulson & Coulson, 2016). 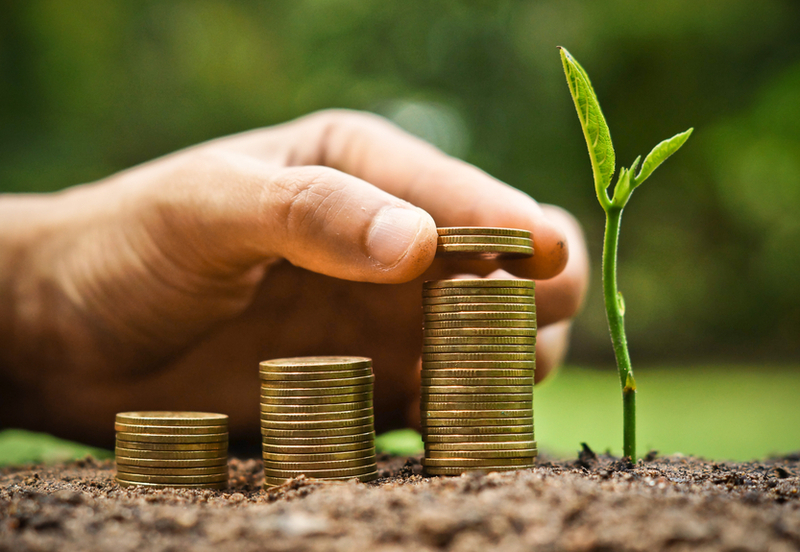 The social- economic development includes investor value, support for suppliers, local community development and environmental development activities using re-new able energy, GHG emissions, atmospheric environmental impact, aquatic environmental impact, and environmental impact of waste (Epstein & Buhovac, 2014). Environmental contribution- using renewable energy is around 308,943 KRW billion, GHG emissions (612,385) KRW billion , atmospheric environmental impact is (6053) KRW billion, aquatic environmental impact is (584) KRW billion, and environmental impact of waste is (4361) KRW billion. Overall, the value socio-economic value created by the organization is 23, 608, 389 KRW billion (Samsung Sustainability Report, 2016). Suppliers- there are thousands of suppliers for Samsung. Suppliers play key role in the sustainable development of an organization and society as a whole. The organization has established global procurement code of conduct & supplier code of conduct for providing ethical conduct in supplier’s working and reduction of mismanagement. These procurement codes & ethical practices are designed in such way that it reduces the harm to the society & environment (Plambeck & E., 2012). Supplier’s Employees & workers- the sustainability reporting of Samsung has clear directions for the sustainable developments of its supplier’s employees. The company has defined appropriate working hours, wages & benefits etc. the organization also, has clear check over the child labour or exploitation on the supplier’s sites. Customers- the use of superior quality of technology & eco-friendly activities, in all Samsung’s products & services has increased customer satisfaction. Surveys conducted by various organizations, has proved that customers are largely investing in Samsung’s products due to its efforts for sustainable environment (Sustainability report, 2016). Society- the organization has been always supporting the society through direct contribution as well as through creating value of its corporation. Direct contribution includes educational support, local community development, medical support to remote areas with the help of mobile devices , and through employee engagement in social causes. Organization also supports the natural disaster programs and frequently supports Latin America (which is high affected state). 1. The major issue faced by the organization are the adverse impact over the atmospheric environmental & aquatic environment, due to industries manufacturing. 2. The tin used in the manufacturing of Samsung Smartphone’s is the major cause of forest destruction. The mining of tin has destroyed tropical forest in Indonesia. This activity has majorly affected the labourers, workers, residential people and most importantly environment. Destruction of forests has led to soil erosion. This has caused problems for the farmers over there. They are unable to grow crop over there and are facing problems in their livelihood. Majority of tin are extracted from Bangka. Excess of mining has caused serious environmental issues over there. 3. Though Samsung is assuring of recycling of the waste electronic items so that it can reduce the environmental harm, but the recent failure of Samsung galaxy note 7 has posed problems for the organization’s sustainability (Wiens & Corcoran, 2013). The series of smart phones will not be reused rather would be dumped. This would cause huge environmental harm. 4. Excessive use of water resources in the manufacturing of Samsung electronics is depleting the precious resource. Also, the disposal of waste effluents in the water sources adversely affects the aquatic lives. 5. Other economic environment issues for sustainable developments are the slow global economy. This is adversely affecting the revenues, employability & human resource. Also, Korea’s has the high unemployment rate which adversely affects the economic contribution (Samsung Sustainability report, 2016). 6. Sustainable development requires manufacturing of eco-friendly products. Organization has been constantly working for making its products eco-friendly and less environmental harm during disposal of products (Arma et. al., 2010). 1. Increasing green-house gas emissions is the main concern of today’s time. The ever increasing industrial developments are causing the increase in global temperature (Bhattacharjee P., 2010). The need is to protect the environment along with creation of corporate value. For achieving the goal, the organization, needs to reduce such emissions at the manufacturing stage. This can be possible through, innovative technologies & increase expenditure in the environmental sector. 2. Adherence to all the laws & regulations related with the protection of environment & earth. And, should become part of initiatives of international organizations for the betterment of ecological systems. 3. It is high time for the organization to make investments for not only earning economic profitability but gaining environment benefits. Therefore, organization needs to focus on designing eco-friendly products/ designs. Eco-friendly products should exclude all the hazardous elements used, should be easily recycled without harming the environment. Further, products must be designed to save energy. 4. Alternative for disposal into aquatic resources & dumping into lands. The major harm to the society is through the disposal activities of the organization. Therefore, it’s high time for the organization to find alternatives for disposal. 5. The excessive extraction of tins from the grounds of Indonesia has not only affect the environment, but also, harms the workers over there. The picture has clearly shown the occupational hazards to the workers. Such situations must be eliminated through numerous measures. Safety training programs must be conducted for providing guidance to workers in case of potential risk. Proper medical facilities must be available at all sites, in case of any harm or injury. And, all the guidelines and laws must be adhering to formed for the betterment of workers. With the overall study of sustainability reporting of Samsung electronics, it can be concluded that industrial development co-exists with the societal development. It is high time, that organization makes green investment, which means to earn economic profitability along with environment gains. Samsung electronics has managed to show its concern towards environment concern but there is a long way to go. Bhattacharjee P., 2010, “Global Warming Impact on the Earth”. International Journal of Environmental Science and Development, Vol. 1, No. 3. Coulson, A. & Coulson, A., 2016, “KPMG’s True Value methodology: A critique of economic reasoning on the value companies create and reduce for society”. Sustainability Accounting, Management and Policy Journal, 7(4), pp.517-530. Dilling P., 2010, “Sustainability reporting in a global context: What are the characteristics of corporations that provide high quality sustainability reports-an empirical analysis”. The International Business & Economics Research, Journal, 9(1), p.19. Dissanayake D. & Amarasuriya T., 2015, “Role of brand identity in developing global brands: a literature based review on case comparison between apple iPhone vs Samsung smartphone brands”. Epstein, M.J. and Buhovac, A.R., 2014, “Making sustainability work: Best practices in managing and measuring corporate social, environmental, and economic impacts” Berrett-Koehler Publishers. Griggs D., Stafford-Smith M., Gaffney O., Rockström J., Öhman M., Shyamsundar P., Steffen W., Glaser G., Kanie N. and Noble I., 2013, “Policy: Sustainable development goals for people and planet”. Nature, 495(7441), pp.305-307. Plambeck & E., 2012, “Reducing greenhouse gas emissions through operations and supply chain management”. Energy Economics, 34, pp.S64-S74. Samsung, 2016, “Samsung Sustainability Report 2016- Global Harmony with People, Society & Environment”. Samsung. Sharma, A., Iyer, G.R., Mehrotra, A. and Krishnan, R., 2010, “Sustainability and business-to-business marketing: A framework and implications”. Industrial Marketing Management, 39(2), pp.330-341. Wiens K. & Corcoran P., 2013, “Repairability smackdown: How do the latest tablet models stack up?”. IEEE Consumer Electronics Magazine, 2(1), pp.42-50. Wood & D., 2010, “Measuring corporate social performance: A review”. International Journal of Management Reviews, 12(1), pp.50-84.